In order to sell your home fast on the market, you need to make your house memorable, clean up clutter, make home improvements or remodel, and price it right. Selling your house can be very complicated and take a significant amount of time. However, selling your home to Salt Lake Homes For Cash is fast and will make your life easy. We buy homes in any condition, any location and for a competitive price! While the idea of trashing your landlords home after being evicted, probably never crossed your mind, you may have had it happen to you. If your tenants were less than spectacular and you are left with a ton of damage and no money to fix it, sell your house to Salt Lake Homes For Cash. We will pay cash and even cover your closing fees! Stop worrying about bad tenants and sell your home today! Bankruptcy may be the answer to help you get out of debt. However, if you have filed Chapter 7 bankruptcy, you may be forced to sell your home to pay off some of the debt. We buy homes fast and pay you cash at a competitive price! Fill out our form today to see how we can buy your house today! If you are behind on payments, you should call your servicer right away. Your servicer may be able to help you get back on track. However, the further behind you get, the bigger the risk for losing your home. If you can’t make your house payment anymore and want to sell your house fast, contact Salt Lake Homes For Cash. We will buy your house today! Expenses will begin to increase and mushroom as soon as the process begins. There are legal fees, court costs, and possibly child care costs. The process is very expensive and can leave you not being able to afford your house payment any longer. If you are struggling after a divorce and need to sell your house fast, sell your house to Salt Lake Homes For Cash! Fill out our form form more information. If you have chosen to liquidate your estate in order to pay bills or get cash fast, we can help! Save yourself the hassle of using auctions or having strangers in your home. Sell your house fast to Salt Lake Homes For Cash. Contact us for more information! Getting a job transfer can mean uprooting your life really suddenly. You will be leaving friends and family, the comfort of the home you have lived in and it can be expensive and stressful. It can be very stressful having to sell your house on short notice. 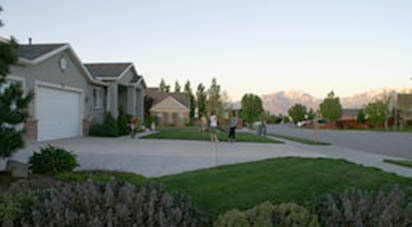 Take the stress away and sell your house to Salt Lake Homes For Cash. We will buy your home today and pay you cash! Are you tired of trying to sell your home alone? Did your real estate agent fail you? Whatever the reason for selling your home, Salt Lake Homes For Cash can help! We will buy your house for cash at a fair price and hassle free! Depending on the real estate market in your area, selling your home may provide the funds you need to pay off your current mortgage debt in full. By selling your home to Salt Lake Homes For Cash, we will pay you cash to help you avoid foreclosure. Fill out our form for more information.